This coming Tuesday - 7th October - there will take place a diffusion of 'thought frequencies' at the Science Gallery Pop-Up in Boland House, London Bridge. It forms part of the Radionics Radio project, which is an extension of the groundbreaking acoustic radionic experiments conducted by George and Marjorie de la Warr at their Delawarr Laboratories beginning in the late 1940s. 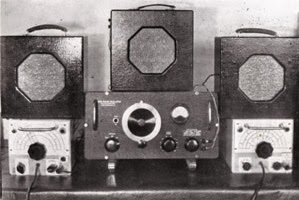 Radionics is a fringe science that, through Delawarr Laboratories, led to the first long-durational electronic sound experiments of the 20th century. Delawarr was particularly concerned with the way electronic tones interact acoustically in the air - at the first International Congress of Radionics in London, May 1950, George de la Warr demonstrated interference patterns produced by multiple loudspeakers, each respectively playing single tones that radionically related to the body (for instance, the larynx mucous membrane: 133Hz, 264Hz and 455Hz). The lively interaction of these frequencies in the air (as opposed to being mixed together into a single loudspeaker) was said to contribute to the 'acoustic therapy' process. The clusters of frequencies were originally identified by concentrating on a thought whilst turning an electronic oscillator and rubbing a 'detector pad'. 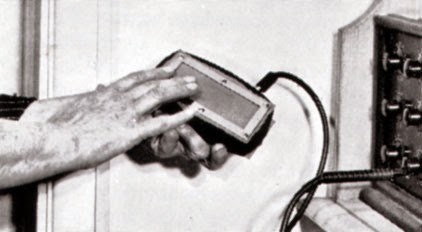 Whenever the finger encountered a 'stick' - or some friction - on the pad, the frequency was noted down. In this way, frequency combinations relating to thoughts were obtained. Delawarr Laboratories never regarded their radionic research as music, but one of the first people to discern the correspondences between radionics and sound art was the electronic composer Daphne Oram. 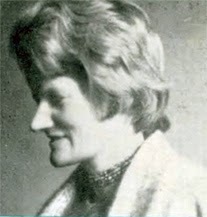 Oram had an interest in Delawarr's sonic experiments, but her research in this direction remains unpublished. 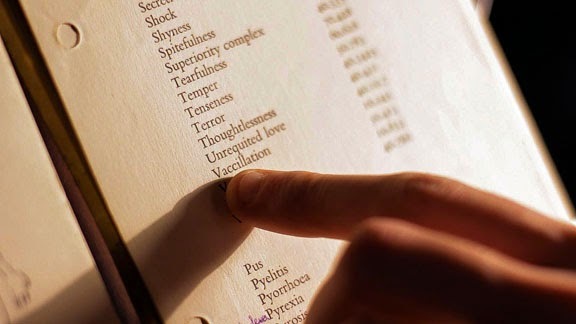 However, there is a radionics undercurrent in her 1972 book An Individual Note of Music..., where she muses that objects and concepts possess wavepatterns that, through perception, intermodulate with our own individualised mental wavepatterns (hence the 'individual note' of the title). "In every human being there will surely be tremendous chords of wavepatterns 'sounding out their notes'" Daphne Oram, An Individual Note of Music, Sound and Electronics, 1972. Anybody remotely interested in electronic music and its origins will find interest in these experiments, and the Radionics Radio irradiations at the Science Gallery are quite noteworthy in that such experiments have never been trialled before on this magnitude. The audience will be privy to combinations of 'thought frequencies' harvested from the Radionics Radio web application (the latest version v2, enhanced by Jonny Stutters, offers more accuracy and wider compatibility). 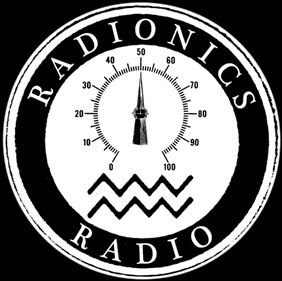 The irradiations will also be broadcast on Resonance 104.4FM at a later date. Delawarr applied for a radio broadcasting license in the late 1960s to similarly broadcast audio radionic tones, but were refused permission by the GPO who stated "we are unable to agree to the use of radio in the way you propose." Only now is this vision becoming reality with the help of Sound and Music. Please visit www.radionicsradio.co.uk to convert your thoughts into frequencies. Additional thanks to Jonny Stutters, Dr. Ed Baxter, Peter Lanceley for assistance with the diffusion experiments, and John Dignan for the generous donation of audio equipment.